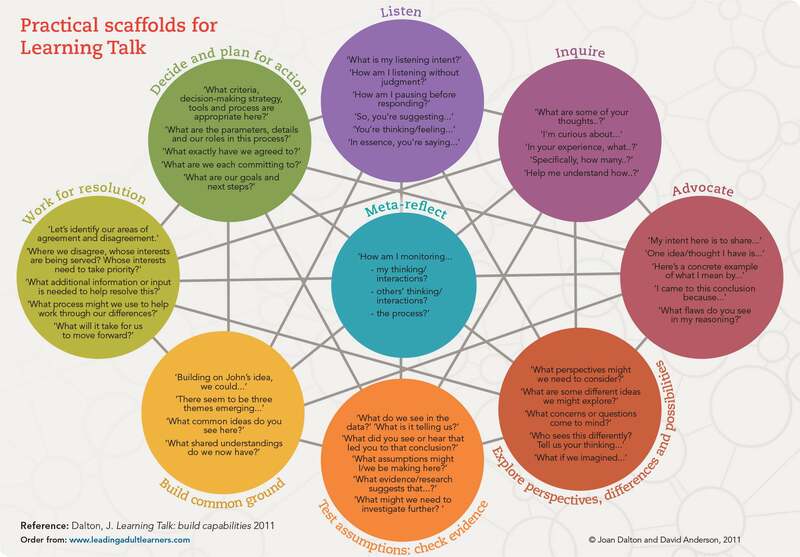 ‘How are we going to remember and practise all these skills we’re learning?’ is a common question asked by leaders as we’ve worked to build their capabilities for effective, important conversations. I often share the story of a wonderful colleague who, working as a senior director with an Australian Department of Education, posted up charts with sentence scaffolds on the wall above her office door. Since consciously practising these skills makes a huge difference to their development, here is a Learning Talk resource I hope you will find of great practical use. When Tim Fitzgerald was principal of Fitzroy High School in Melbourne, each of his adult team members kept an early version of this resource visible during their important team meetings. Everybody was practising; everybody learned and developed their skills. How might you use this resource to practise and further develop your own skills, and those of the people you lead? I’d love you to share your ideas and strategies! Thank you for taking the time to blog as this is a great way to continue to explore ideas around the use of language in an educational context. 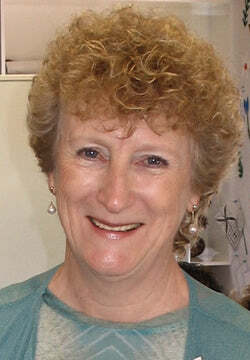 Thanks Joan for taking on the blogging world as it is a great way to provide ongoing professional learning. As a leadership team each time we meet we use our learning talk covenant which helps us top focus and work on an agreed aspect. After the meeting a team member provides us with some data and feedback on how we applied that aspect. This allows us to be conscious of our language and behaviour. A timely reminder that takes me back to the work you did witht the leadership team. I am still using many of the new learnings and strategies shared with us dring that time. I have lost count of the number of school leadership teams I have used the your ideas about discussion and dialogue and ways to develop effective leadesrhip teams.